Everything started in 1972, when the engineer Giorgio Valmassoi started his long adventure in the world of the Italian and world optical industry. Forty years dedicated to a job with all the passion and enthusiasm. 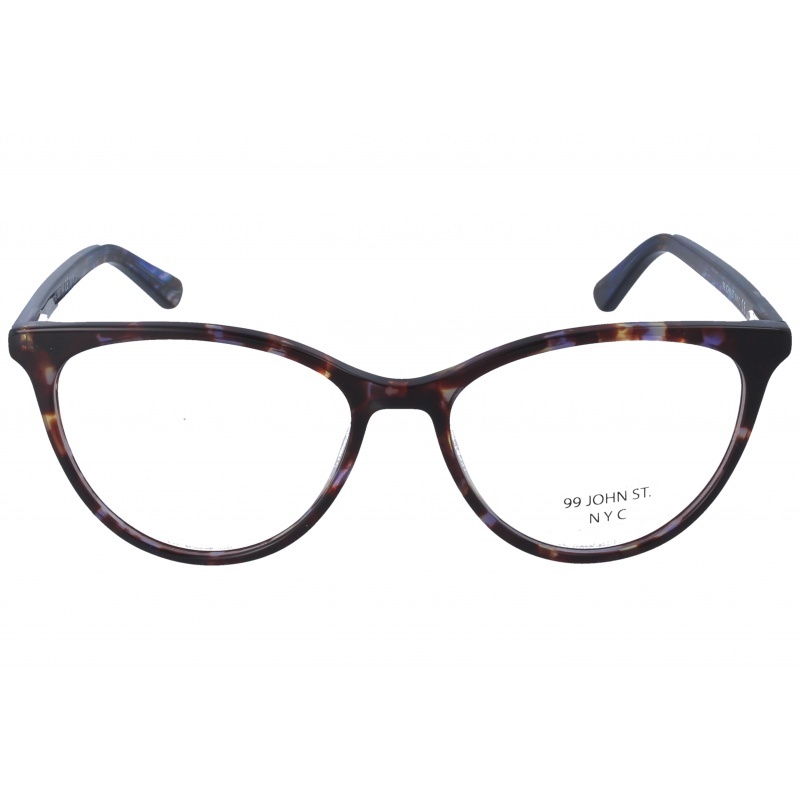 Eyewear by the brand JOHN ST 99, for Prescription glasses for Women, with reference M0011119, with a(n) Modern, Female and Retro/Vintage style.These 99 John St 058 007 53 14 have a(n) Full Rim frame made of Acetate / plastic with a(n) Cat Eye shape in Brown and Light brown colours. Their size is 53mm and their bridge width is 14mm, with a total frame width of 67mm. These glasses are suitable for prescription lenses. These are top of the range glasses from the brand JOHN ST 99, made of high-quality materials, modern eyewear that will give you a look that matches your image. Buy 99 John St 058 007 53 14 eyewear in an easy and safe way at the best price in our online store. 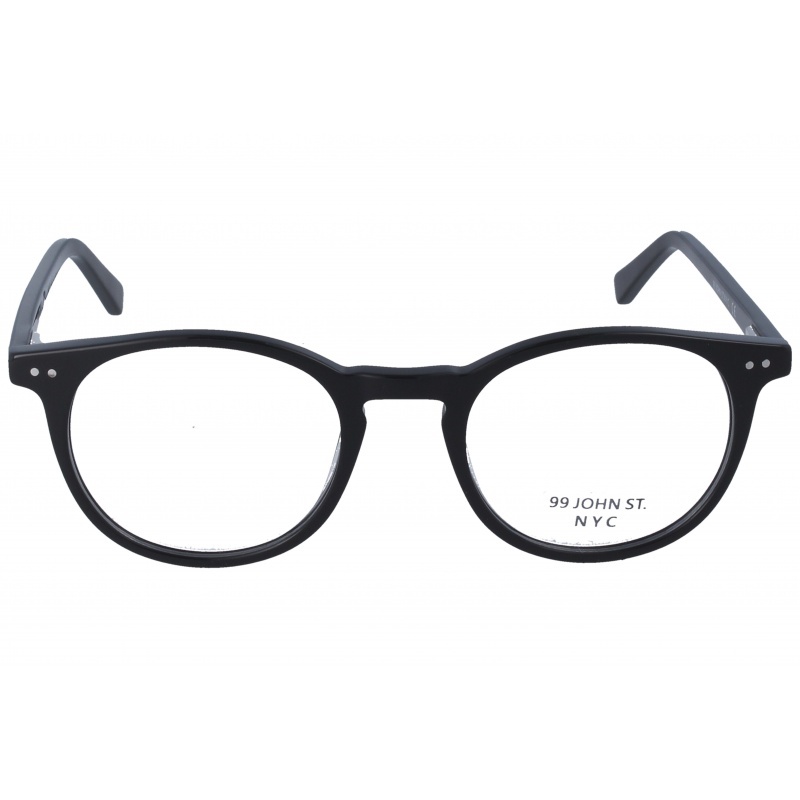 Eyewear by the brand JOHN ST 99, for Eyeglasses for women, with reference M0014221, with a(n) Formal, Modern and Female style.These 99 John St 257 02M 55 17 have a(n) Full Rim frame made of Metal with a(n) Squared shape in Black colour. Their size is 55mm and their bridge width is 17mm, with a total frame width of 72mm. They have Organic, Gray, Brown, GreenClear, Polarized, Mirror, Uniform, High brightness, High contrastPolarized + Gradient lenses. These glasses are suitable for prescription lenses. These are top of the range glasses from the brand JOHN ST 99, made of high-quality materials, modern eyewear that will give you a look that matches your image. 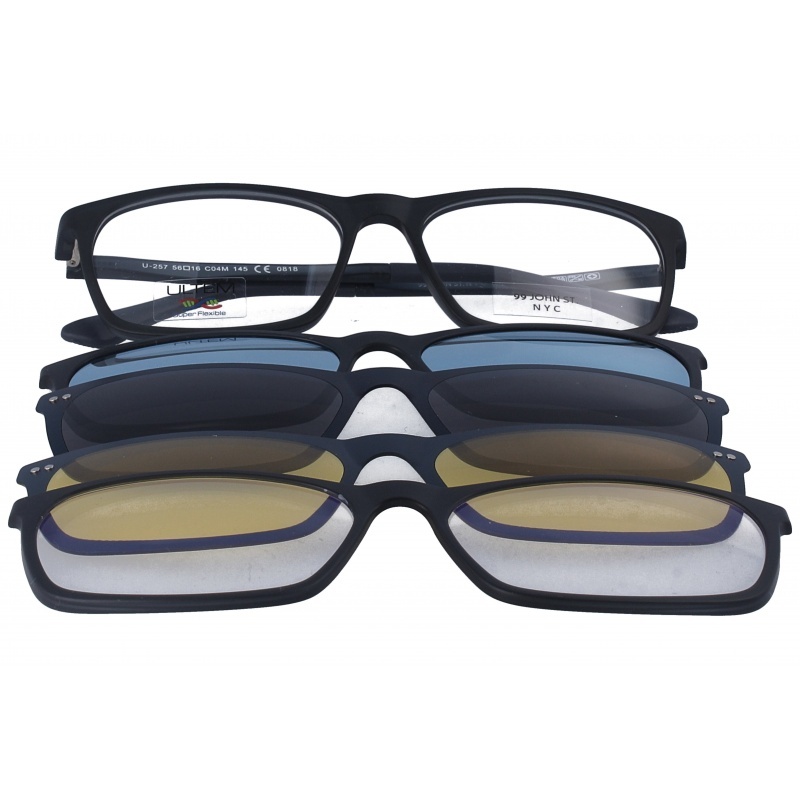 Buy 99 John St 257 02M 55 17 eyewear in an easy and safe way at the best price in our online store. string(155) "99 John St 257 02M 55 17 GlassesEyewear by the brand JOHN ST 99, for Eyeglasses for women, with reference M0014221, with a(n) Formal, Modern and Female ..."
string(24) "99 John St 257 02M 55 17"
string(14) "99 JHON ST ESP"
string(14) "99 JHON ST ENG"
string(214) "Everything started in 1972, when the engineer Giorgio Valmassoi started his long adventure in the world of the Italian and world optical industry. Forty years dedicated to a job with all the passion and enthusiasm." Eyewear by the brand JOHN ST 99, for Eyeglasses for women, with reference M0014016, with a(n) Formal, Modern and Female style.These 99 John St 257 04M 56 16 have a(n) Full Rim frame made of Acetate / plastic with a(n) Squared shape in Black colour. Their size is 56mm and their bridge width is 16mm, with a total frame width of 72mm. They have Organic, Gray, Brown, GreenClear, Polarized, Mirror, Uniform, High brightness, High contrastPolarized + Gradient lenses. These glasses are suitable for prescription lenses. These are top of the range glasses from the brand JOHN ST 99, made of high-quality materials, modern eyewear that will give you a look that matches your image. 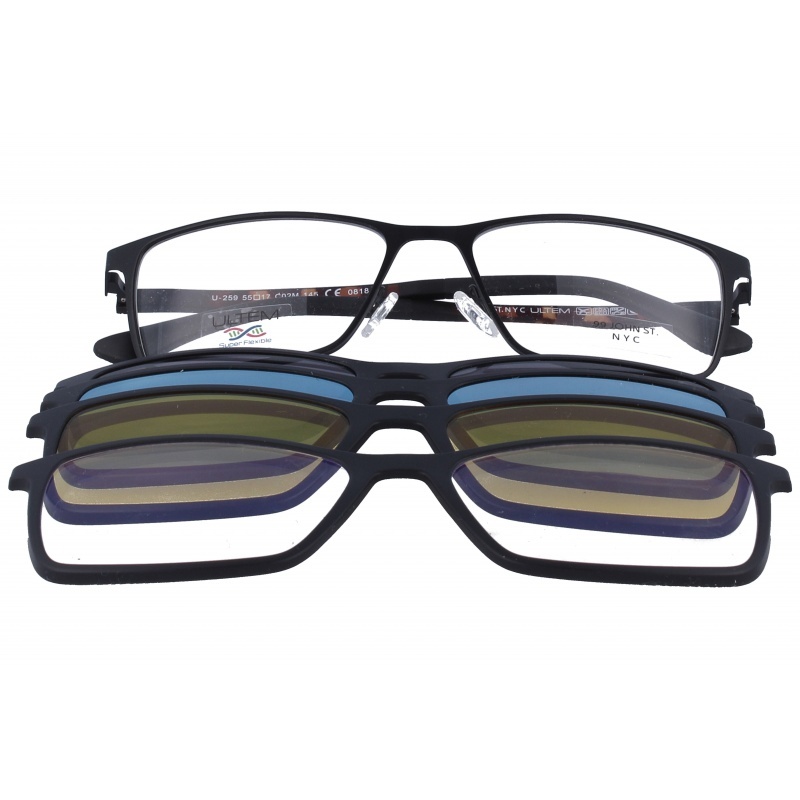 Buy 99 John St 257 04M 56 16 eyewear in an easy and safe way at the best price in our online store. string(133) "Buy 99 John St 257 04M 56 16 sunglasses. Modern and elegant model. Original product with fast shipping, quality guarantee and refund." string(24) "99 John St 257 04M 56 16"
Eyewear by the brand JOHN ST 99, for Prescription Glasses for Children, with reference M0014015, with a(n) Modern and Female style.These 99 John St 148 007 52 16 have a(n) Full Rim frame made of Acetate / plastic with a(n) Cat Eye shape in Jaspe colour. Their size is 52mm and their bridge width is 16mm, with a total frame width of 68mm. These glasses are suitable for prescription lenses. These are top of the range glasses from the brand JOHN ST 99, made of high-quality materials, modern eyewear that will give you a look that matches your image. Buy 99 John St 148 007 52 16 eyewear in an easy and safe way at the best price in our online store. string(133) "Buy 99 John St 148 007 52 16 eyeglasses. Modern and elegant model. Original product with fast shipping, quality guarantee and refund." string(24) "99 John St 148 007 52 16"
Eyewear by the brand JOHN ST 99, for Eyeglasses for men, with reference M0014014, with a(n) Formal and Modern style.These 99 John St 147 02M 56 18 have a(n) Full Rim frame made of Acetate / plastic with a(n) Squared shape in Black colour. Their size is 56mm and their bridge width is 18mm, with a total frame width of 74mm. These glasses are suitable for prescription lenses. These are top of the range glasses from the brand JOHN ST 99, made of high-quality materials, modern eyewear that will give you a look that matches your image. 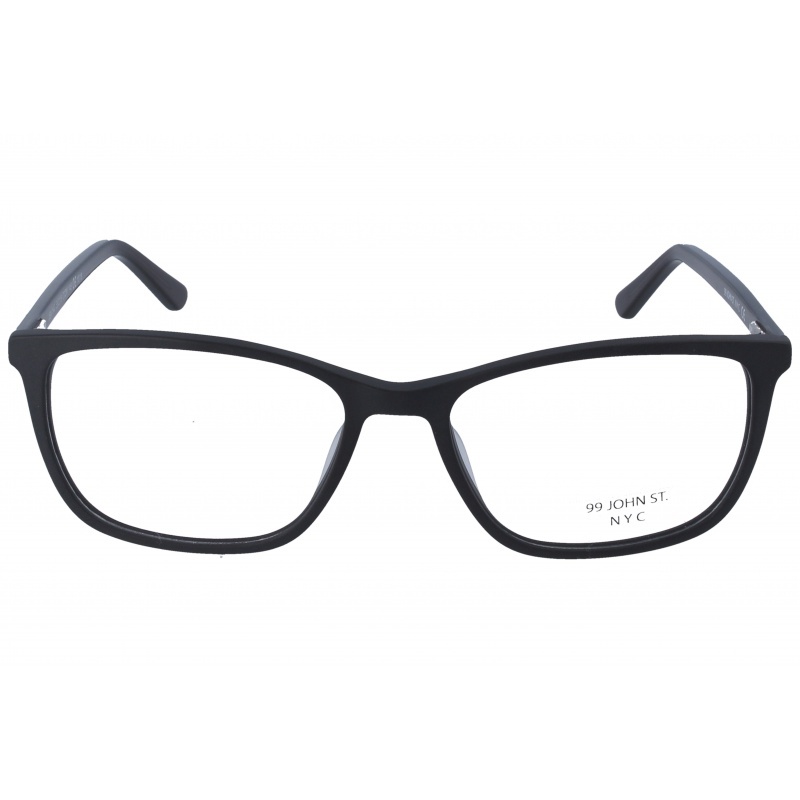 Buy 99 John St 147 02M 56 18 eyewear in an easy and safe way at the best price in our online store. string(133) "Buy 99 John St 147 02M 56 18 eyeglasses. Modern and elegant model. Original product with fast shipping, quality guarantee and refund." string(24) "99 John St 147 02M 56 18"
Eyewear by the brand JOHN ST 99, for Eyeglasses for men, with reference M0014013, with a(n) Formal, Modern and Retro/Vintage style.These 99 John St 118 002 47 20 have a(n) Full Rim frame made of Acetate / plastic with a(n) Oval shape in Black colour. Their size is 47mm and their bridge width is 20mm, with a total frame width of 67mm. These glasses are suitable for prescription lenses. These are top of the range glasses from the brand JOHN ST 99, made of high-quality materials, modern eyewear that will give you a look that matches your image. Buy 99 John St 118 002 47 20 eyewear in an easy and safe way at the best price in our online store. string(133) "Buy 99 John St 118 002 47 20 eyeglasses. Modern and elegant model. Original product with fast shipping, quality guarantee and refund." string(24) "99 John St 118 002 47 20"
Eyewear by the brand JOHN ST 99, for Prescription Glasses for Children, with reference M0014012, with a(n) Modern and Female style.These 99 John St 106 022 53 14 have a(n) Full Rim frame made of Acetate / plastic with a(n) Cat Eye shape in Black, Transparent and Jaspe colours. Their size is 53mm and their bridge width is 14mm, with a total frame width of 67mm. These glasses are suitable for prescription lenses. These are top of the range glasses from the brand JOHN ST 99, made of high-quality materials, modern eyewear that will give you a look that matches your image. Buy 99 John St 106 022 53 14 eyewear in an easy and safe way at the best price in our online store. string(133) "Buy 99 John St 106 022 53 14 eyeglasses. Modern and elegant model. Original product with fast shipping, quality guarantee and refund." string(24) "99 John St 106 022 53 14"
Eyewear by the brand JOHN ST 99, for Prescription Glasses for Children, with reference M0014011, with a(n) Formal and Modern style.These 99 John St 098 022 47 16 have a(n) Full Rim frame made of Acetate / plastic with a(n) Squared shape in Black and Blue colours. Their size is 47mm and their bridge width is 16mm, with a total frame width of 63mm. They have Organic, Gray, PolarizedUniform lenses. These glasses are suitable for prescription lenses. These are top of the range glasses from the brand JOHN ST 99, made of high-quality materials, modern eyewear that will give you a look that matches your image. Buy 99 John St 098 022 47 16 eyewear in an easy and safe way at the best price in our online store. string(133) "Buy 99 John St 098 022 47 16 eyeglasses. Modern and elegant model. Original product with fast shipping, quality guarantee and refund." string(113) "glasses,italian brand,epos,monofocal,progressive lenses. retro style sunglasses,high-quality materials,good price"
string(24) "99 John St 098 022 47 16"
Eyewear by the brand JOHN ST 99, for Eyeglasses for men, with reference M0014010, with a(n) Formal and Modern style.These 99 John St 096 02M 54 18 have a(n) Full Rim frame made of Acetate / plastic with a(n) Squared shape in Black and Blue colours. Their size is 54mm and their bridge width is 18mm, with a total frame width of 72mm. They have Organic, Gray, PolarizedUniform lenses. These glasses are suitable for prescription lenses. These are top of the range glasses from the brand JOHN ST 99, made of high-quality materials, modern eyewear that will give you a look that matches your image. Buy 99 John St 096 02M 54 18 eyewear in an easy and safe way at the best price in our online store. 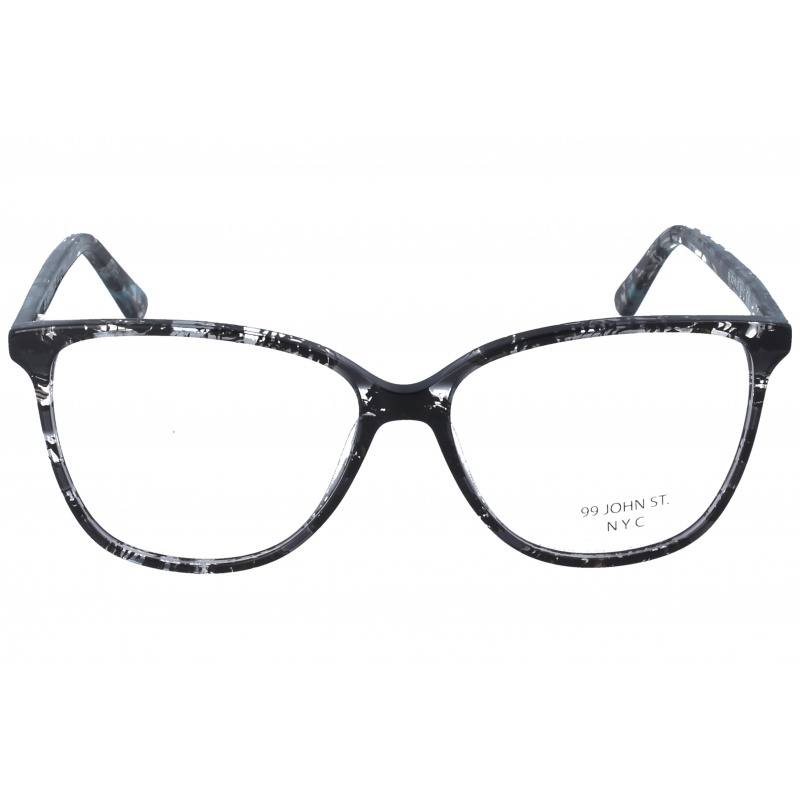 string(133) "Buy 99 John St 096 02M 54 18 eyeglasses. Modern and elegant model. Original product with fast shipping, quality guarantee and refund." string(24) "99 John St 096 02M 54 18"